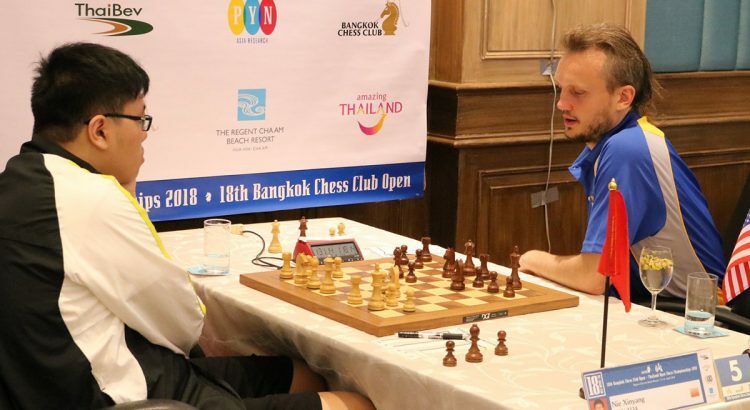 We are seeing big fights and therefore upsets and lucky escapes in as early as round three of the Bangkok Chess Club Open Championships being held at the Regent Cha-Am Beach Resort from 13-21 April 2018. The first surprise was when China’s Nie Xinyang won quickly against Uzbekistan GM Timur Gareyev who plays under the USA flag. A second but perhaps less sensational surprise was when Mongolian WGM Enkhtuul Altan-Ulzii beat GM Santiago Yago De Moura in a hard fought game where the outcome was never really in doubt. English defending champion GM Nigel Short also lost ground when his battle of the sexes with Mongolian IM/WGM Batchimeg Tuvshintugs ended in a draw. 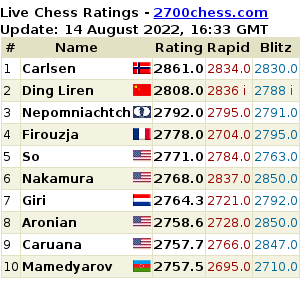 Several other grandmasters continued to lose further ground after being held to second draws, results which left top seeded Armenian GM Hrant Melkumyam, German GM Jan Gustafsson, Argentine GMs Diego Flores and Leandro Krysa, Indian GM Depan Chakkravarthy and Australian GM Moulthun Ly sitting on top of the leaderboard. Joining them on 3/3 are Vietnam IM Nguyen Anh Khoi, Indian IM Raghusandan Kaumandur Sirhari, China’s Peng Xiongjian, FM Zhu Yi and Nie Xinyang. It is of course very early days yet with just one third of the tournament concluded but it is guaranteed that the fourth round tomorrow will bring more excitement.